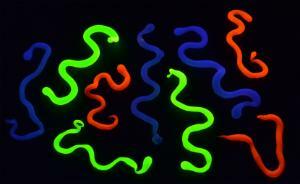 Allow students to learn about polymers and cross-linking using this fun and colorful activity. Students add a solution of sodium alginate to three calcium chloride solutions, each containing a different fluorescent dye. After a few minutes the liquid sodium alginate solution forms into gel-like polymer worms. 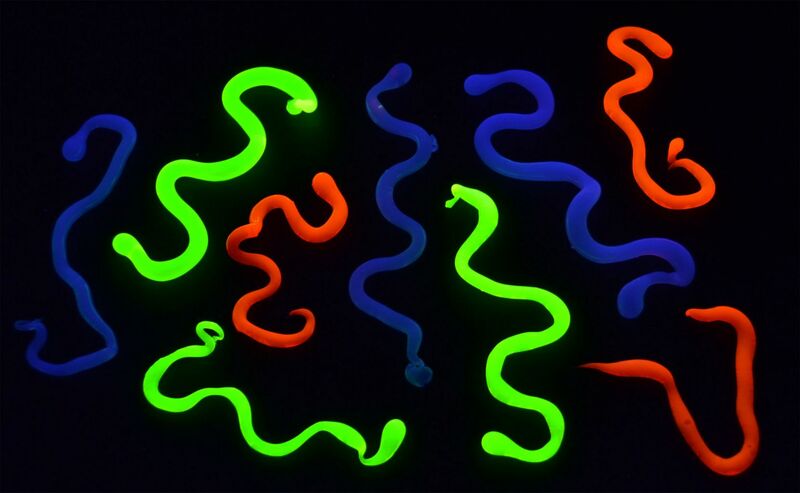 Upon completion of the activity, the worms may be placed under a black light and the students will observe their worms glow red, blue, and green. Aligned to NGSS Standards PS1.A and PS1.B; MS-PS1-2; crosscutting concept - patterns.